GCW offer a professional and friendly service. 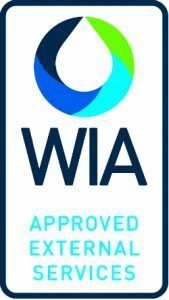 Specialising in providing new pipework chlorination and existing mains water pipe chlorination / disinfection for both residential and commercial properties. 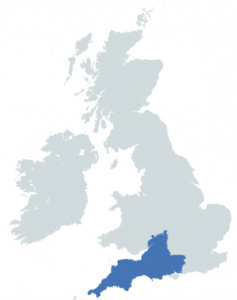 We have branches in both Cornwall and Devon, to discuss your requirements call GCW on 07548 285 811. New pipework chlorination and mains water pipe chlorination. Provide Certificates of water analysis. Liaise with local water authorities when required. Pre-new connection inspection to conform to new regulations. Chlorination services available throughout South West England. This procedure applies to all newly laid pipes that are over 50 metres in length or a pipe of an internal diameter greater than 50mm i.e. 63mm and above regardless of length and will be required to have been disinfected / chlorinated prior to being connected to the water utilities mains. When existing pipes have been left open ended or become contaminated from surface water, sewerage or animals. Where a system has not been in regular use and the water has been lying dormant. Where the supply is being converted from a private water supply to a new connection to the water utilities mains the process of disinfection / chlorination will be required prior to any connection being made. Minimise the risk of contamination to water pipes and consumers. Ensure aesthetic, chemical and microbiological parameters are not breached as a result of inadequate cleaning and disinfection of new pipes. Comply with the requirements and principals of water hygiene. This procedure applies to all newly laid pipework that is over 50 metres in length or a pipe of an internal diameter greater than 50mm i.e. 63mm and above regardless of length and will be required to have been disinfected / chlorinated prior to being connected to the water utilities mains. Before any new pipework can be connected to the network it has to be subject to a satisfactory pressure test. Pipes have to be flushed prior to pipework chlorination. Larger mains need to be swabbed prior to disinfecting. Mains water is checked for a background reading and read on a photometer, the reading is then logged on a disinfection log sheet. The pipe is refilled, adding sodium hypochlorite to achieve a minimum chlorine level of 50 mg/l along the length of the pipe. The concentration of chlorine is checked and recorded on a disinfection log. This is measured at the end of the main with a high level chlorine photometer to confirm there is a sufficient concentration of chlorine. If the concentration of chlorine is less 50 mg/l then the procedure is repeated, ensuring the chlorinated waste water is fully de-chlorinated prior to its disposal. The pipe is then allowed to stand for a minimum of one hour this is the contact time. The pipe is then flushed until the disinfecting chlorine has been removed and the new pipework is completely filled with mains water, with a background reading that is similar to the initial background reading, this reading is then logged on a disinfection log sheet. Duty Of Care applies to the disposal of chlorine solutions, which will include to neutralise the chlorine before disposal. The mains water is then held in the new pipe for one hour after which samples should be taken from the new pipe end, the sample tap type is recorded and disinfected prior to the sample being taken and logged on a disinfection log sheet. Each sample has a unique sample ID number. On site tests are recorded on the sample label. Microbiology analysis are assessed at a UKAS approved laboratory, the results are available after three days. If the microbiology results are not satisfactory the whole process has to be repeated. The results are electronically sent from the Labs on the forth day, where a chlorination certificate is produced and sent along with the analysis report to the local water authority connection team to proceed with their connection. The new pipe must be brought into service as soon as possible. If a period of more than 10 days elapses from the time the microbiology sample was taken the new pipe may not be connected and the process may have to be repeated. Before GCW can chlorinate a new water mains pipe, there is basic information we will require from you. One of our friendly team will discuss your requirements, the information required before we can proceed and the actual procedures involved when you enquire. Is there local water authorities water on site? Are the pipe ends capped? Pressure test the new water pipe to ensure it is water tight. Flush the local water authorities water from the point where the water is being taken from for two minutes and take a chlorine reading, this reading is called the background reading measured with electronic photometer, this reading is noted. Flush the water pipe for a minimum of two minutes to ensure any deb-re that may of entered the pipe during the installation is flushed out, the longer the length the longer the flush. When this flush is complete we take a chlorine reading. Introduce the chlorine within the local water authorities specifications in a controlled manner through a dosing pump using the local authorities water. Contact time, the local water authorities specify the minimum contact time, contact time is the time the chlorinated water in the water pipe is held in the pipe before it is flushed out. When the specified contact time is complete we take another reading to ensure it is not below the desired minimum. If we are satisfied we will then commence a controlled flush using only the local water authorities water and dissolving crystals to ensure all the chlorine is neutralised before making contact to the ground. The flush is complete when the readings are the same as the initial noted background readings. Then water is contained in the pipe at a duration set by the local water authorities. The pipe ends are capped with WRAS approved caps. When the sample results are returned as good, GCW Services then provide a certificate of chlorination and send them to the specific water authority with the analysis report. The water authority will then check and authorise for the connection to go ahead. If its not possible to use the local authorities water, you can request a standpipe connection, this is when the water authority proceed with there connection on the agreed date and install a standpipe provided by you to allow the pipe to be chlorinated using their water. The standpipe must comply to their regulations, tap being fitted with a check valve, inline double check valve and an isolation stop tap. GCW Services can supply standpipes that conforms to their regulations. 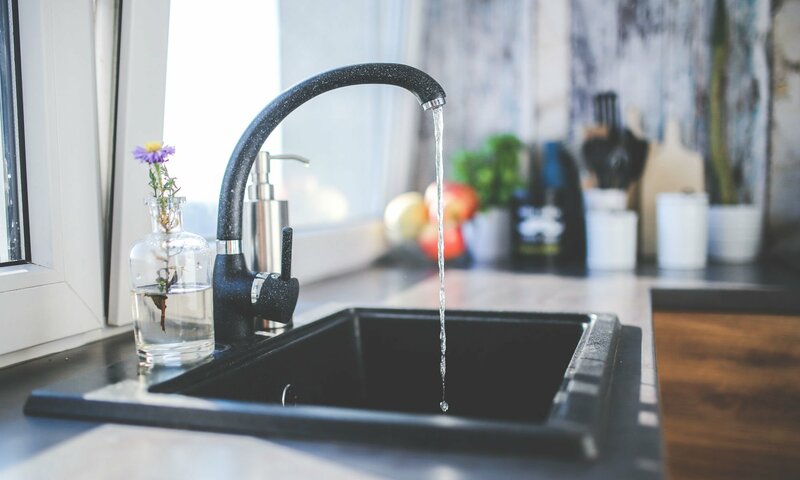 If requesting a local authorities water connection to your property after you have had a private water supply (well water, spring water, or borehole water). The water authority will insist on all the internal pipe work and the cold water tank to your property being chlorinated. This is to prevent any risk of contamination to their infrastructure or they are happy that by having your pipework chlorinated it protects them from any counter claims should you become ill. Sometimes the regulations inspector will inspect you property prior to the new connection being made. Sometimes when we are chlorinating the internal pipework to a property we have recommended a new water tank. This is because the existing tank has become heavily discoloured and impossible to get clean. Also with the increase in water pressure we recommended changing the ball valve in the tank. To disinfect the inside of the water pipe using a chemical called Chlorine. The term chlorination comes from the chemical chlorine. To disinfect the inside of the water pipe is a process using chlorine. Portsmouth, Southampton, Winchester, Alton , Aldershot, Andover, Alresford, Andover, Brokenhurst, Basingstoke, Beaulieu, Bishop’s Waltham, Eastleigh, Emsworth, Farnborough, Fleet, Gosport, Hayling Island, Lymington, Petersfield, Lyndhurst, Ringwood, Romsey, Southsea, Stockbridge, Whitchurch. Lydney, Coleford, Gloucester, Tewkesbury, Chipping Campden, Stow on-the wold, Cheltenham, Brockworth, Northleach, Stroud, Durlsey, Wotton-under-Edge, Badmington, Tetbury, Cirencester, Bibury, Lechlade. Amesbury, Bradford on Avon, Calne, Chippenham, Corsham, Cricklade, Devizes, Ludgershall, Malmesbury, Marborough, Melksham, Mere, Royal Wootton Bassett, Salisbury, Swindon, Tidworth, Trowbridge, Warminster, Westbury, Wilton. Axbridge, Bath, Bristol, Bridgwater, Burnham on Sea, Chard, Cheddar, Clevedon, Crewkerne, Dunster, Exmoor, Frome, Glastonbury, Ilminster, Langport, Minehead, Nailsea, Porlock, Radstock, Shepton Mallet, Somerton, Street, Taunton, Watchet, Wellington, Wells, Weston Super Mare, Wincanton, Wiveliscombe, Yeovil. Abbotsbury, Beaminster, Blandford Forum, Bournemouth, Bridport, Cerne Abbas, Christchurch, Corfe, Castle, Dorchester, Evershot, Gillingham, Kimmeridge, Lulworth, Lyme Regis, Milton Abbas, Moreton, Poole, Portland, Puddletown, Purbeck, Shaftesbury, Sherborne, Stalbridge, Sturminster Newton, Swanage, Tolpuddle, Tyneham, Wareham, Weymouth, Wimborne, Wool, Yetminster. Appledore, Ashburton, Axminster, Barnstaple, Beer, Bideford, Bovey Tracey, Brixham, Buckfastleigh, Budleigh Salterton, Chumleigh, Clovelly, Cullompton, Crediton, Dartmouth, Dawlish, Exeter, Exmouth, Holsworthy, Honiton, Ilfracombe, Ivybridge, Kinsbridge, Lifton, Lyme Regis, Lynton, Newton Abbot, Newton Ferrers, Okehampton, Ottery St Mary, Paignton, Plymouth, Salcombe, Seaton, Sidmouth, South Molton, Tavistock, Teignmouth, Tiverton, Topsham, Torquay, Totnes, Woolacombe. Camborne, Helston, Marazion, Mullion, Penzance, St Ives, The Lizard, Hayle, Lands End, Mousehole, Porthleven, Sennen, Charlestown, Fowey, lostwithiel, Penryn, Rame, St Mawes, Truro, Falmouth, looe, Mevagissey, Polperro, St Austell, The Roseland, Boscastle, Bude, Camelford, Crackington Haven, Mawgan Porth, Newquay, Padstow, Perranporth, Polzeath, Port Isaac, Rock, St Agnes, Tintagel, Wadebridge, Watergate Bay.